A peek at this year's winner's envelopes. Photo courtesy of Marc Friedland. 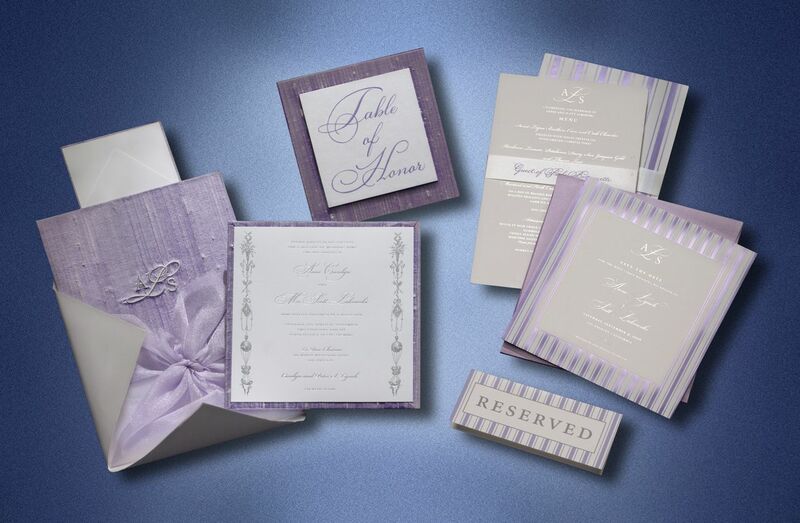 For 27 years, Marc Friedland, also known as the “godfather of the invitation” and “stationer to the stars,” has perfected the design, elegance and timeliness of an invitation. Having developed wedding invites for everyone from Brad Pitt and Jennifer Aniston to Larry King to Timbaland, Friedland and his team understand the importance of using the personal style of the bride and groom to create a unique invitation. Los Angeles-based Friedland, who is the founder and creative director of Marc Friedland Couture Communications, has done much more than establish nuptial memories. Given his talent and extensive background, it’s no wonder that, in 2011, he was tapped to be the first designer and producer of the Academy Award’s hand-crafted envelopes and announcement cards. “Prior to me coming up with this special design, it was just a standard-issue printed envelope, which was used for informational purposes only. What I proposed was elevating the winner’s envelope into an iconic piece. 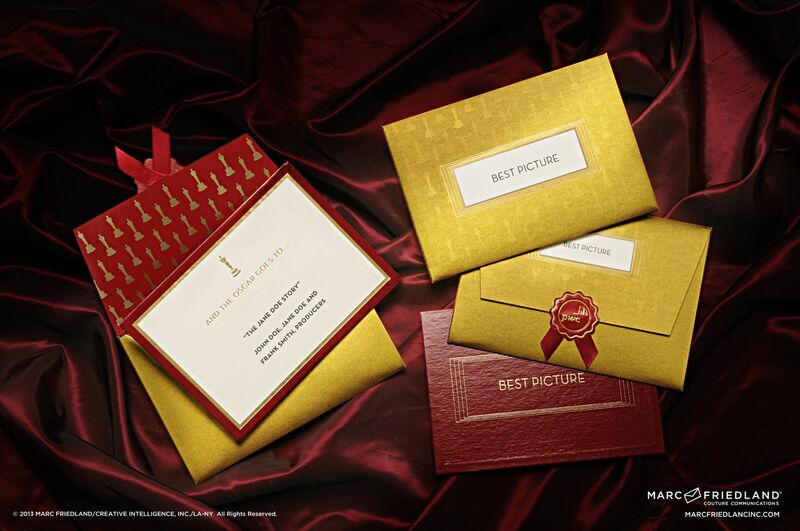 Just as the Oscar statuette is iconic, we felt that the envelope also needed its own presence,” Friedland shared. Well, the final product certainly stands out in more ways than one. The four-ounce creations are made of a beautiful gold, iridescent and metallic material that “picks up the light in just the right way.” In order to produce the 96 envelopes (24 for each category with 4 sets being made) and the 488 nominee cards (122 total nominees with 4 sets in total), Friedland has a team working for 252 hours. Ultimately, the envelopes are only touched by 48 people – 24 presenters and 24 award winners – but they are seen by over a billion viewers worldwide. For this year’s show, which will air on ABC on Sunday, February 24 at 7 p.m. EST, Friedland also created the invitations for five Oscar-related events. With a total of 15,100 invitations being sent for the events, it took over 300 hours to produce them. Of course, Friedland put personal touches on each of the invites. He explains that his team “approached the task in a way similar to how a designer would approach a fashion collection.” First, he picked a color palette of very rich jewel tones and gave each event a signature color: black diamond for The Governors Awards; sapphire for The Nominees Luncheon; emerald for The Scientific and Technical Awards; amethyst for The Foreign Language Film reception; and ruby for The Oscars. Additionally, as if this work isn’t remarkable enough, Friedland crafted an online collection of cards for Oscar viewers at home. With The Oscar Collection By Marc Friedland on Evite Postmark, audiences everywhere can throw their own parties using the signature Academy-sanctioned designs – free of charge! To make your viewing party even more fun and interactive, you can also download the designer’s Oscar Bingo game to play as the stars glide across the red carpet and onto the stage. As for Friedland’s picks for best actor and best actress, he thinks it’s going to be a tough call this year: “there are so many good contenders, and it’s going to be really close.” Be sure to tune into the 85th Academy Awards to see who walks away with the coveted awards – and don’t forget to check out Friedland’s beautiful designs. For more information about Marc Friedland, check him out on Facebook, Twitter and Pinterest.